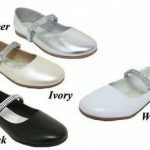 Girls dress shoes in white plus a variety of colour options. 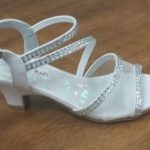 Perfect shoe choices to match baptismal gowns, First Holy Communion dresses, or any party dress outfit! For over 30 years, families have trusted us to outfit their little girls beautifully. 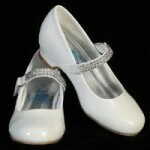 Select from great shoe styles to compliment our wonderful Communion or party dresses. Shop online now or call to visit our Oakville showroom!